Today, French has grown to become a global language, ranked as the sixth most widely spoken language across the globe. Learning and speaking this language have been proven to help non-native speakers everywhere achieve better test results, acquire better careers, and overall lead to a more successful life. If you have considered helping your child to learn this popular language in the Houston area, then it is important to find a local child development center with the tools and staff to assist them in order to achieve the highest level of success. Crossing Borders Preschool is here to provide French language immersion programs for children across the Houston area. Our early childhood education team strives to incorporate this language (along with English, Spanish, and Mandarin) in order to equip students with a lifelong passion for learning about other cultures and how their populations speak. French immersion classes are in high demand these days, as families travel to Canada and beyond. Today, we’ll highlight a few benefits of enrolling your child in French at our language immersion preschool. If you’re ready to learn more, then feel free to contact us today! Toddlers and young children love to run and play, but getting them to listen can be a whole other matter! Studies show that properly structured French immersion classes can help children between the ages of 18 months and five years to listen closely to the instructions, as learning and speaking a new language can be fun and engaging. It is important to deploy a curriculum that eases children into the French language, as opposed to jumping right in. Mastering a second language is not easy. In order to make the most out of their instruction, our language immersion pros tailor their programs to provide the right level of work to encourage young learners to focus on complex tasks, such as deciphering a new French phrase. This practice helps to develop their language learning abilities, but also provides a measurable improvement in concentration. Developing a second language helps to open a new dynamic in the brain, allowing children of all ages to realize there are multiple ways to look at a single problem. French-speaking students who know at least two languages are often shown to score better on exams. While you may think that speaking français will only help in language mastery, studies have shown that this practice also helps in fields such as mathematics. Children thrive on being able to communicate their thoughts with adults. Enrolling your little one in a French immersion program can sharpen their ability to express their thoughts clearly. A second language relies on different semantics, morphology, syntax, and more, requiring non-native speakers to focus on exactly what they are saying and how they will say it. Over time, your children will incorporate this practice into their daily vernacular and improve their overall language skills, much to your excitement! 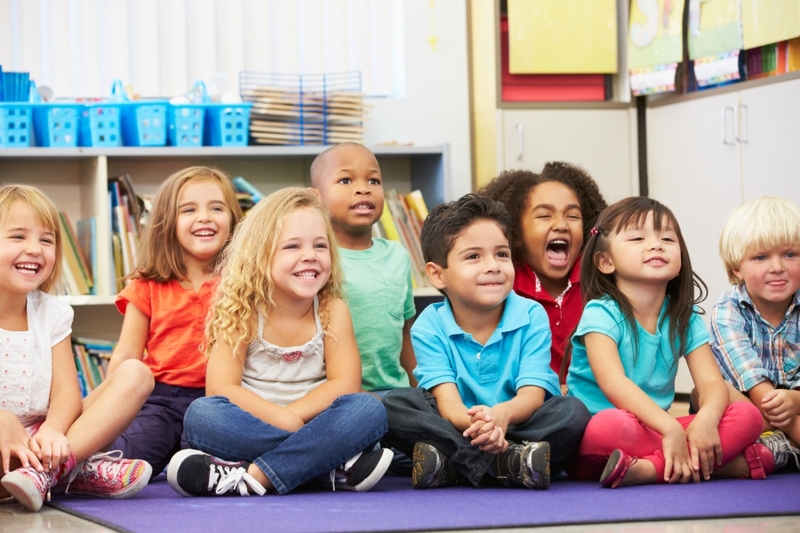 Enrolling your little one in French immersion programs early on can help them to more comfortably master the language as they proceed through school. Not only will this help them to become more affluent in learning skills, but it will also open the door for a variety of opportunities all over the world. The French language is spoken in 53 countries, making travel to many of these locations a fun and rewarding experience. Once your child has become confident in their bilinguality, be sure to plan a trip to one of these places to see how well they do! We all want to raise children that are open-minded and welcoming to the world. 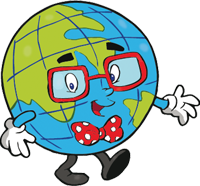 In today’s age, our planet is smaller than ever before, making it essential for young learners to accept and welcome people from other cultures. 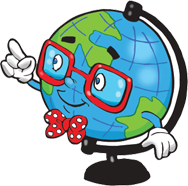 French immersion is one of many language programs that can help your learner to view the world from a different perspective, increasing their understanding of populations from around the world. Children Improve in Their First Language, Too! 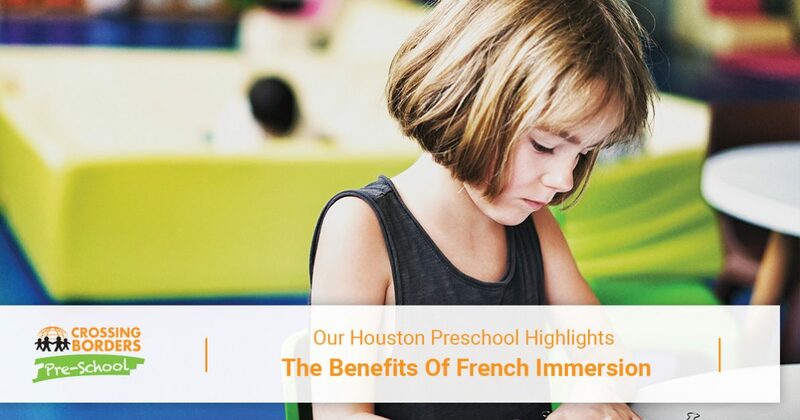 One fact that surprises many parents who enroll their children in our French immersion program in Houston is that learning a second language actually helps students in mastering their first one. Acquiring a new way to speak, read, and think improves literacy scores across the board. Crossing Borders Preschool has developed a proven childhood education program that takes this fact to heart, and our native-speaking staff will be sure to deliver a full range of teaching activities in addition to French immersion. Our French immersion program in Houston is the perfect place to start your child’s multilingual journey. Crossing Borders Preschool is more than a childhood development center — our programs help to make learning fun for children of all ages in a manner that promotes friendship and cultural awareness. Contact us today to learn more, and be sure to ask how you can enroll your little one in our immersion preschool!